The Trial Innovation Network (TIN) is a collaborative initiative within the NIH Clinical and Translational Science Award (CTSA) program that seeks to innovatively address critical roadblocks in clinical research and accelerate the translation of novel interventions into life-saving therapies. Locally the Georgia CTSA is composed of four academic partner institutions – Emory University, Morehouse School of Medicine (MSM), Georgia Institute of Technology (Georgia Tech), and the University of Georgia (UGA). CTSA Program Hubs with Emory University serving as the frontline of the Georgia CTSA hub. The TIN network liaison team use their experience and knowledge of the local environment to facilitate collaboration with the TIN in developing and disseminating clinical trial innovations as well as facilitating TIN-CTSA services locally. 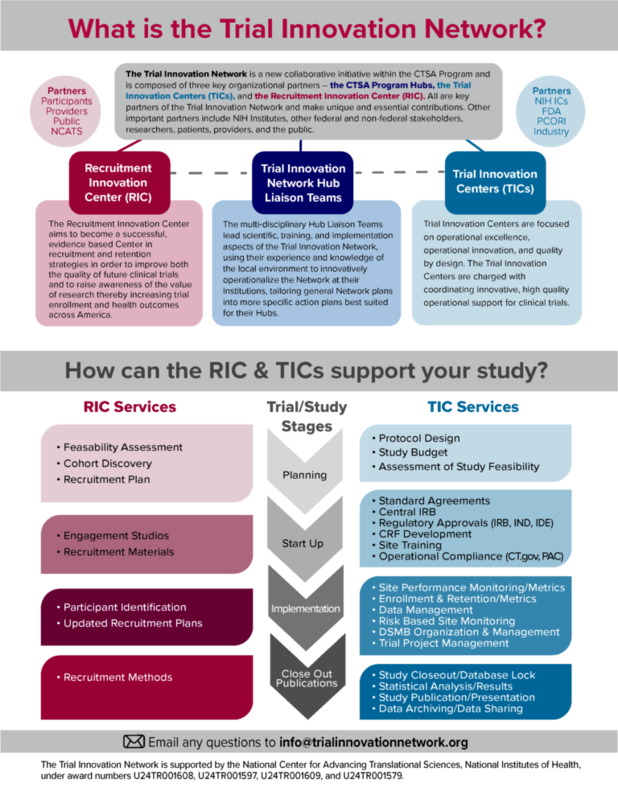 Trial Innovation Centers (TIC) are charged with coordinating and providing high quality operational support for clinical trials. Georgia CTSA Trial Innovation Network provides the Navigator Team that assists with maintaining compliance, quality, and innovation activities at each of the research offices at Emory, MSM, Georgia Tech, and UGA. The goal of the Trial Innovation Network is not only to execute trials better, faster, and more cost-efficiently but, to be a national laboratory to study, understand, and innovate the process of conducting clinical trials. 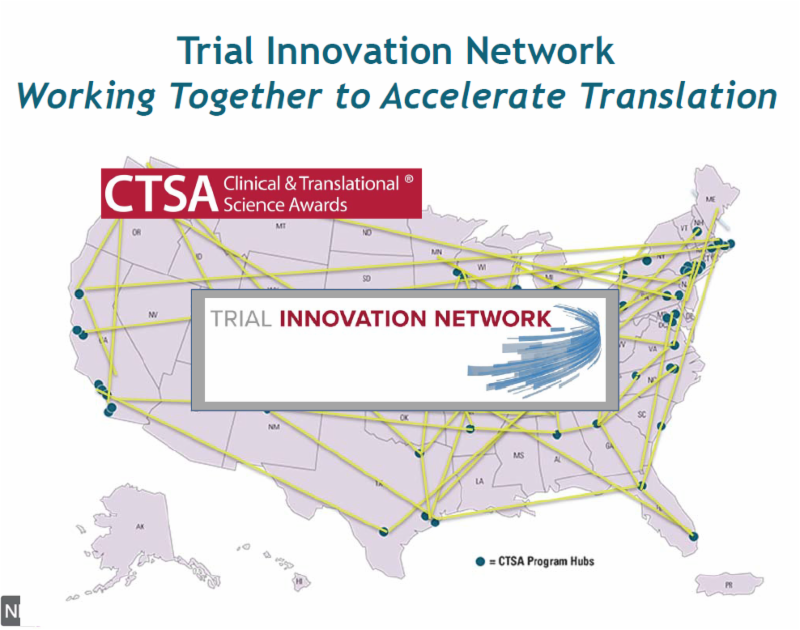 The Trial Innovation Network is a collaborative national network that focuses on operational innovation, operational excellence, and collaboration and will leverage the expertise and resources of the CTSA program. The Trial Innovation Network features a single IRB system, master contracting agreements, quality by design approaches, and a focus on evidence-based strategies to recruitment and patient engagement.